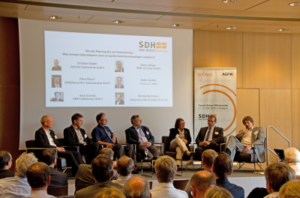 Solnet 4.0 is a cooperation of industry and research aiming at the market development of solar district heating in Germany. The project Solnet 4.0 develops customized solution concepts for the market development of solar district heating systems. Furthermore, the aim is to spread the knowledge and experience about the technology in public and expert circles. 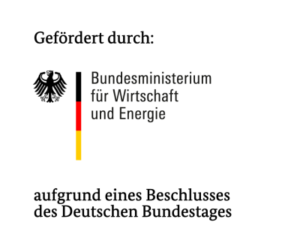 The project will support the achievement of the “renewable energy scenario” in the “energy efficiency strategy for buildings” of the German Ministry of Economics and Energy. The scenario envisions an increase in usage of solar district heating systems. In the first phase of Solnet 4.0, innovative solution and development concepts will be developed to overcome existing obstacles. A high quality and relevance for practice of the concepts will be guaranteed by including market players, know-how of suppliers and interdisciplinary competences of project partners. The developed concepts will be refined and supplied to the specific target groups in the second phase. An impact on the target groups shall be achieved through communication and dessimination activities. These activities shall lead to an increased awareness of expert groups as well as in public, in how far solar district heating can play a key role in the change to more sustainable energy supply systems.